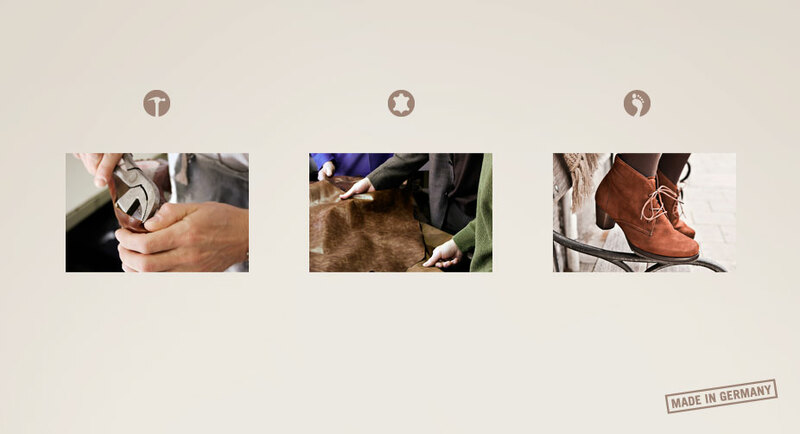 Traditional craftsmanship is important to us. We have been producing shoes in Germany since 1863. Our know-how is concentrated at our premises in Pirmasens where our company was founded. Thus we are able to produce footwear that is not just excellently processedbut also meets the demands of our female customers. It is not only the outstanding workmanship that makes SEMLER shoes so comfortable. In every season, we are looking for the best material with a lot of passion to detail. Especially the soft leathers along with our ingenious functional textiles will ensure a unique comfort as well as a valuable look. Due to best materials along with a sophisticated processing, SEMLER shoes are soft and comfortable right from the beginning. They will adjust to the natural shape of your foot and will support your feet at the right position while walking. FITTING AND FUNCTION Obviously, a stylish shoe is a part of a harmonious outfit. 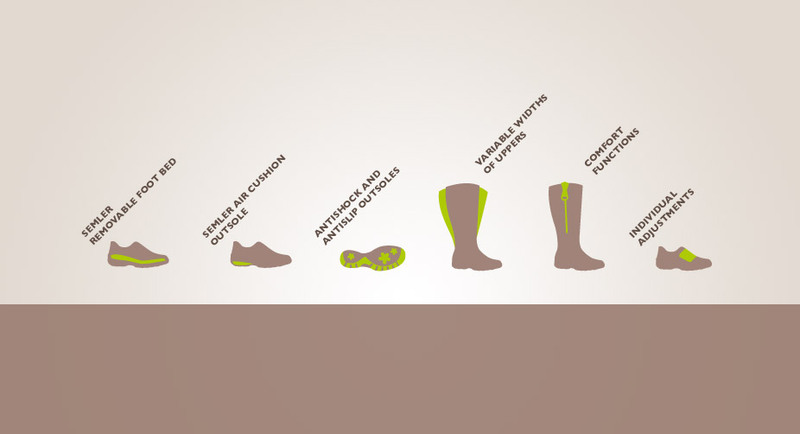 However, no other piece of clothing is subject to more demanding challenges than a shoe. At SEMLER we accept the challenge of not just looking good. We want you to walk through your everyday life in comfort. FITTING AND FUNCTION Numerous comfort functions and individual adjustments, along with the SEMLER removable foot bed, are just a few feel good highlights of our shoes. With many models in standard widths and fittings from F to K, as well as with our huge range of sizes 1-10.5, we are definitely able to offer the whole package for the needs of every foot: fashion, wellness and comfort. At your specialized SEMLER stockist you will receive individual advice and service for your requirements.